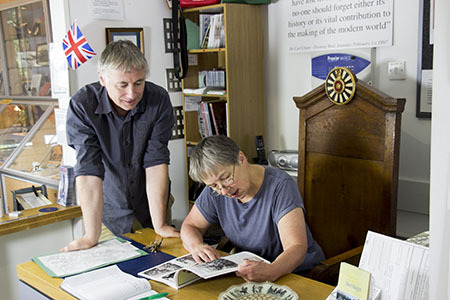 WOULD YOU LIKE TO MAKE A DONATION TO THE SMETHWICK HERITAGE CENTRE TRUST? Please make a donation of as little or as much as you can. Thank you. Enter your donation amount, and click “Add Donation” to go to the checkout to complete your donation. The work we do is carried out by our team of volunteers, but even so it costs us money to continue this work. Our income comes primarily from membership subscriptions and donations, for which we are extremely grateful. 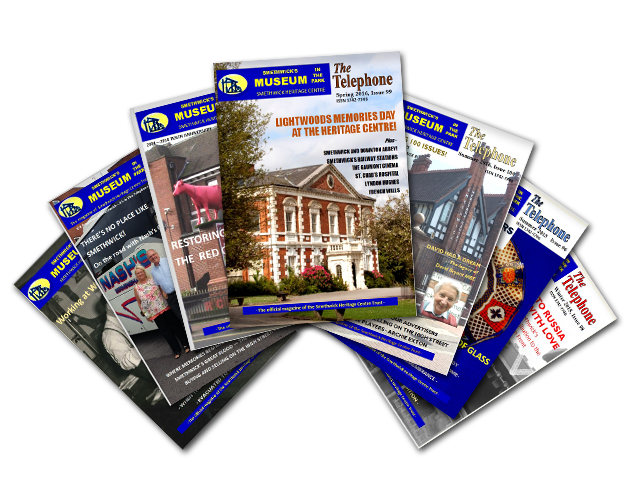 By taking out an annual subscription & becoming a member you will receive a regular copy of the Smethwick Heritage Centre’s quarterly magazine, “The Telephone” delivered to your door. You will also qualify for a 50% discount off the regular price of our Genealogy sessions. Your donation will also help us to continue with our work & your support is always appreciated. You can now take out a new subscription, or renew an existing subscription, on–line or by ringing us on 0121 555 7278 for an application form & returning it to the Centre by post or in person. We also accept cash. If you are able to “Gift Aid” your subscription it would help us enormously. Please read the notes on Gift Aid which are located under the Donate option at the top of this page.